' HP day 26: Harry Potter Parties - Sisters, What! 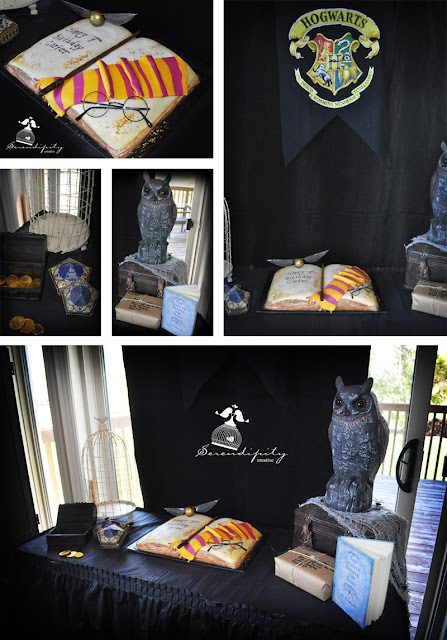 This month of Harry Potter wouldn't be complete with out highlighting some awesome Harry Potter parties that fellow bloggers have done. 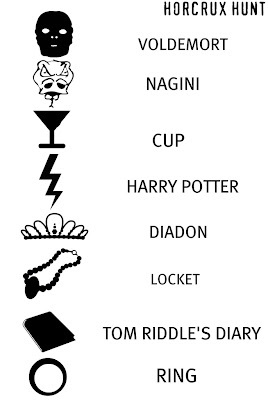 This one below is the ultimate Harry Potter Party, and I mean ultimate. She even named her blog My Harry Potter party, because there were so many details and prep work. Along with the sign she painted a sheet that looks like bricks to be the passage to Platform 9 3/4. I love this portrait of the fat lady. She actually hired an artist to paint it for her. Amazing! Her husband made some really authentic wooden wands for each child and they even had a table for potions class. Seriously, if you've never been to this blog before, YOU NEED to check it out. It will make you want to have a intense Harry Potter part yourself. Over at the Dragon Fairy Tale blog she included a Horcrux Hunt with her party. 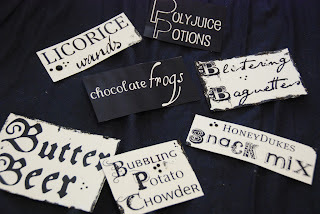 She even has free printable labels to print out for your own HP party. My sister is doing a Harry Potter Party and I really, really, really wish I could apparite, fly a broom, or use floo powder to be there for it. Ah, well next time maybe. Love the Horcux hunt! Great ideas! I saw that party blog! I think it was actually the lady's dad who did the painting (using the TV paused at that scene as a guide).